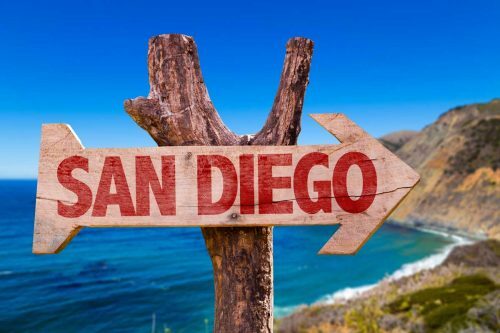 The worldwide famous San Diego is a fantastic destination in its own right. If you’re planning a day visit, you could soon find yourself overwhelmed by the sheer size of the place and the huge scope of activities. That’s what happened to us when we visited the zoo for the first time with our kids. Hopefully, this post will help you and your family be better prepared, so you can make the most of your day in the zoo. What we ended up doing was buying two-days tickets, so we won’t feel rushed to see everything. We also extended our stay in San Diego, so we can explore more of the city. Going for multiple-day tickets also means you can spend half a day at the zoo, and then vary things a little bit by mixing it up with other attractions around it. Must-do attractions in the San Diego Zoo. Things to do around the San Diego Zoo. 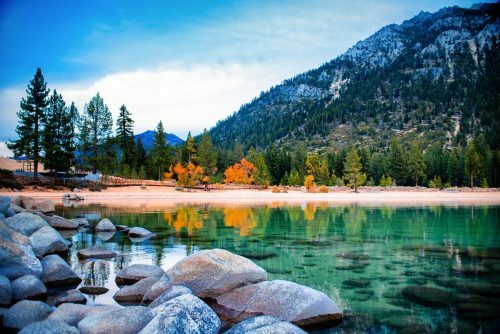 The second list includes all the wonderful sightseeing and fun activities you can do within walking distance of the zoo itself. You won’t have to move your parked car – just stroll outside the zoo and enjoy nearby attractions. So, without further “azoo”, let’s start the lists going! Clearly, the main thing you’ll be doing in the zoo is walking around and looking at all the magnificent animals. That’s generally what zoos are about, right? The San Diego Zoo can keep you busy doing that for many hours. It’s HUGE. And the displays are fantastic. Instead of listing every animal enclosure, I’d like to draw your attention to the seven things I think you should include in your visit, especially if you don’t have a lot of time in the zoo. These can be covered in a single full day, possibly even half a day, allowing you a great experience and a memorable day out. Ever since two visiting giant pandas from China came to San Diego in 1987, the city has had a deep and robust fascination with them. 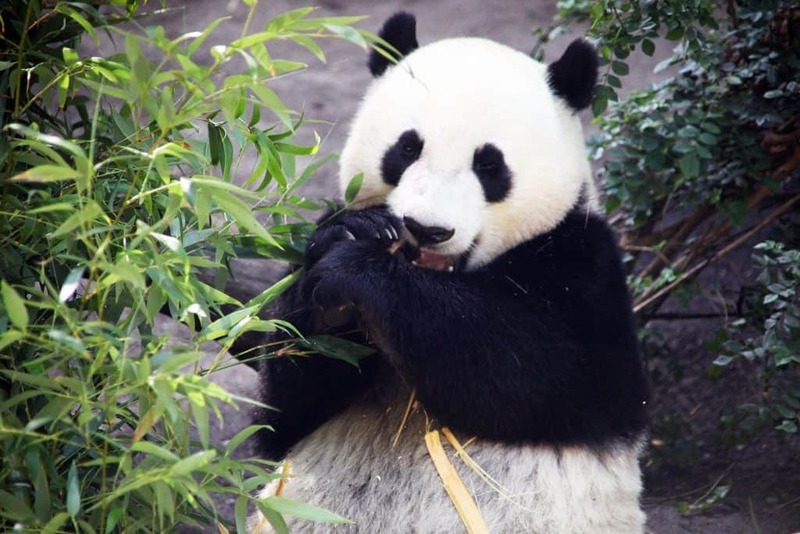 This fascination – and love – ran so deeply that in 1996, San Diego struck up a deal with China to host two adult pandas and their offspring. Since then, six giant pandas have been born in the San Diego Zoo. Currently, two pandas reside at the zoo – and they’re related! In 2012, zoo resident Bai Yun gave birth to Xiao Liwu, a male giant panda. 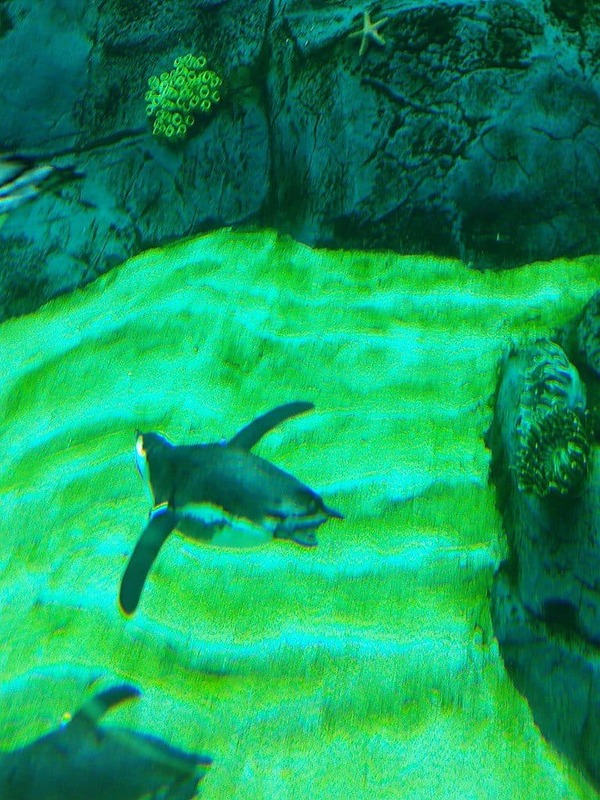 They can be observed at Panda Trek, which is near the Giant Panda Research Station inside of the park. Visitors have the option of taking part in the Early Morning with the Pandas feature that’s hosted by the park. This allows guests to view the giant pandas before the exhibit even opens, creating a one-of-a-kind and humbling experience in the presence of this compromised species. On a personal note, I have to say seeing the pandas was a bit of an anti-climax. They were out there eating bamboo in their enclosure and it was interesting to watch. Only that it was just as interesting to watch other animals. I’m saying that so you don’t set your own expectations too high. Keep in mind these are animals – like all others – and that they’re special for being so rare outside of China. Nothing else. Still, panda viewing is definitely a must-do in the San Diego Zoo. It’s the jewel in the crown of this zoological park and you shouldn’t miss it. Three polar bears currently reside within the Conrad Plebys Polar Bear Plunge in the San Diego Zoo. The most popular attraction to this area is the underwater viewing room, in which guests can stand and get an as-close-as-possible view of the polar bears who live here. Sometimes, the bears even swim up to say hello to their house guests! The pool is also host to interactive polar bear statues, which are great for kids, and a polar bear den that can be explored. 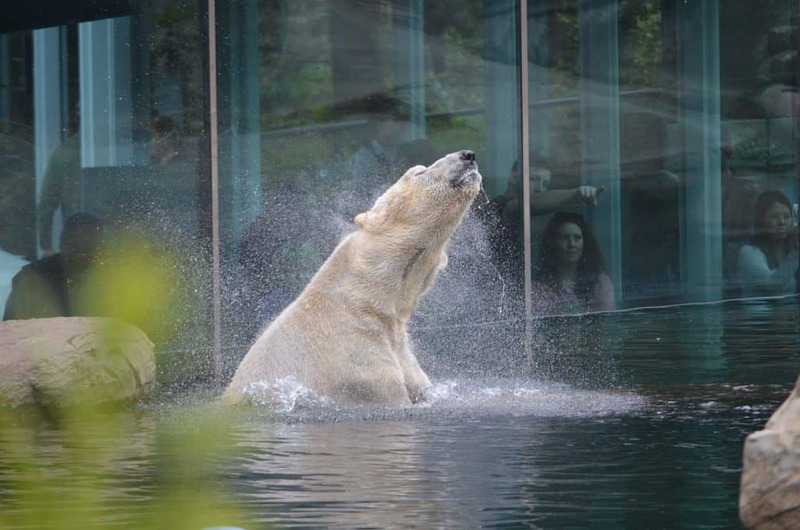 The polar bears at the San Diego Zoo can also be viewed in the zoo’s tundra habitat when they aren’t living the life and swimming in the pool. Many visitors like to start their day off with a guided bus tour around the zoo. 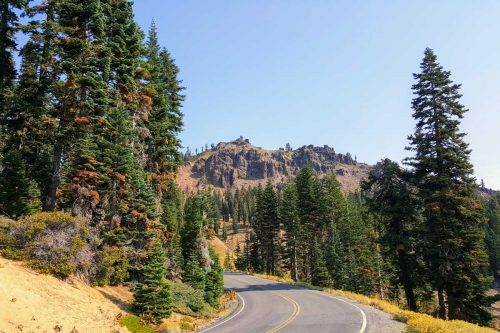 This 35-minute tour takes place in an open-air, double-decker bus that traverses across most regions of the park. If you are struggling to make any last-minute decisions about which exhibits to visit, the tour could be very useful! From 9:30 in the morning until four o’clock in the afternoon, the tour gives guests an inclusive look at the zoo. At noon each day, a Spanish-language variation of the tour is available. This is a great way to see most of the park without having to put the footwork in yourself. What’s a zoo without a designated area for children’s enjoyment, right? The San Diego Zoo’s Children Zoo is a great spot to foster a love of nature and wildlife in the next generation. The children’s zoo is host to numerous educational opportunities, including demonstrations, that encourage curiosity and exploration. The area is, as you’d expect, catered to the presence of children. Even the largest of double-strollers can fit through the walkways with ease. There are also play areas available for children to use, so that they may nurture their bodies as well as their minds when they pay a visit to the zoo. Cape Fynbos: Where penguins (and over 100 species of lizard) come to play. Acacia Woodlands: A hotbed of indigenous Savanna vegetation. Madagascar Forest: The only place on Earth where lemurs make their home. Ethiopian Highlands: Where amphibians, reptiles, and mammals exist among the rich valleys and scalding-hot deserts. Kopje: The home of Africa’s meerkats. West African Forest: A lush, tropical rainforest wherein reptile and amphibian species thrive. This was not available when we visited the zoo (let’s just say my boys have each gained additional 4ft in height since that visit 😉 ) but it’s on my list of places to see there when we come back. Not if. When. As a part of the children’s zoo, the San Diego Zoo hosts a 4-D theater that airs some of the most popular, animal-themed movies in a high-quality, 4-D setting. For $7, children and adults may enjoy this new approach to popular movies like Ice Age and Rio. The movies air from 10:30 in the morning until 4 o’clock in the afternoon, so you’ve got all day to enjoy the sights of the 4-D theater west! I think this is a great option to take a break from all the walking, kick back and relax – while still enjoying a unique educational experience. There’s a lot of room to walk in the San Diego Zoo, and we can’t blame you if you don’t want to take on all of it on foot. The Skyfari Aerial Tram is a great way to get from one end of the park to the other – without wearing out your feet! Visitors who take the aerial tram enjoy scenic views of the zoo and surrounding Balboa Park. Children under eight years of age must be accompanied by adults. Certain types of strollers are not allowed within this space, including jogging and double-wide strollers. Ok, so you have multiple-day tickets and you’re spending half-days at the zoo. That makes a lot of sense because spending 12 hours in a zoo can be too overwhelming. Especially for kids. What can you do for the rest of the day? If you’re looking for other activities to work into your zoo days itinerary, I have a few suggestions that will allow you to leave your car at the zoo parking for the day, while you explore some different things. Balboa Park is a cultural experience in itself. The 1,200-acre urban park is a hotspot of culture and art, in addition to being the host of the San Diego Zoo. 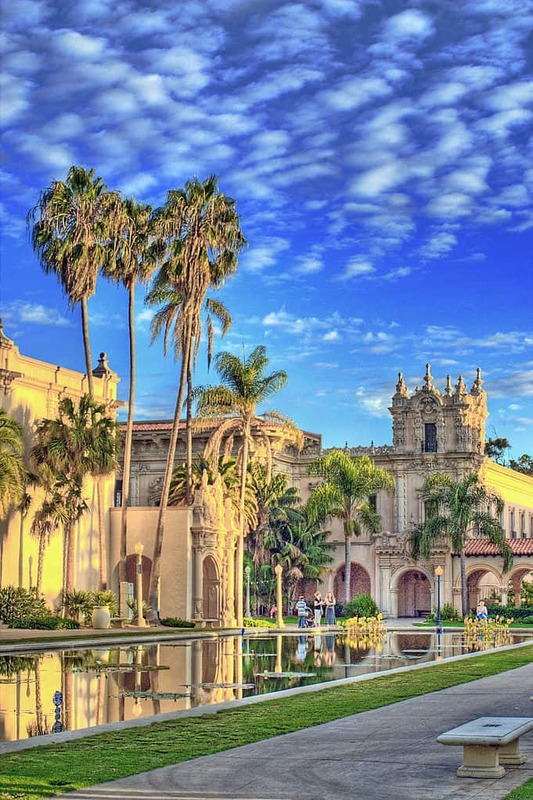 Most notable, perhaps, is the sheer number of museums that reside within the boundaries of Balboa Park. 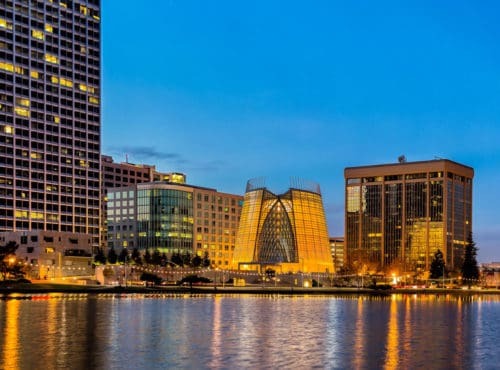 Natural, cultural, scientific and artistic history can be viewed across the multitude of museums that have taken up real estate in the urban park. 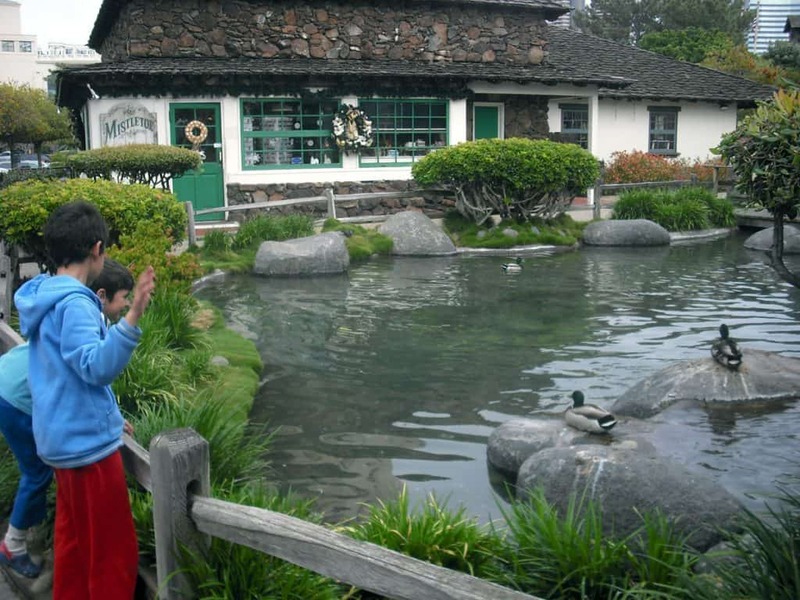 There are also numerous attractions outside of the museum vein for you and the family to enjoy. It’s probably the perfect choice for adding something to your zoo day but you will have to choose what to do there. 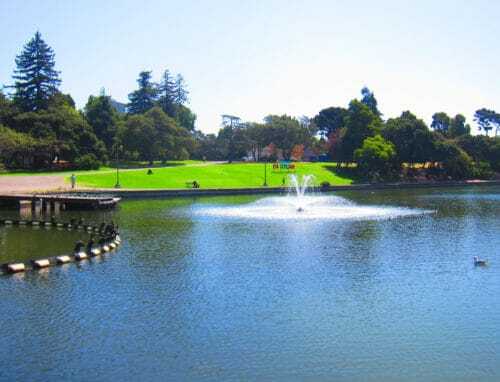 Just strolling around is fun but if the weather is bad or you’re just looking to do something more “substantial”, here are some suggestions within Balboa park. A cultural experience that delves into the hearts and souls of Chicano, Mexican, Indigenous and Latino arts and culture. View a rotating variety of exhibits that include theater and musical performances. Over 100 interactive exhibits promote a natural wonder and curiosity about our planet and what lays beyond it. This garden illustrates the “sister city” status between San Diego and Yokohama. This is an immersive experience that educates and surrounds you with traditional Japanese culture and beauty. As one of the few institutions dedicated solely to photography, film, and video, the museum offers a “pay what you wish” approach to entry fees so that everybody can observe the artwork here. California’s Air and Space Museum and host to many exhibits (some of which are interactive) in the realm of aviation, space and science. This is the go-to spot for everything regarding the history of the automobile as well as the motorcycle. Be prepared to have a newfound appreciation for every car you have ever owned. 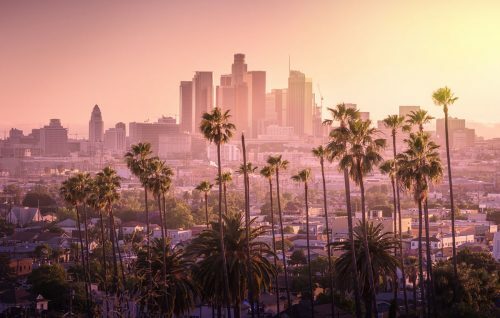 This large historical institution is dedicated to teaching San Diego locals and guests alike all about the history of the city, as well as the city’s role in the emergence of the 21st century. If you have a love of minerals, gems, and fossils, this museum is a can’t-miss! This is the world’s largest operating model train museum, with different railroads modeled into different scales to highlight the history of the city’s love of the rails. If you have any kind of fascination with human cultures and behavior, the San Diego Museum of Man has it all. You’ll learn things that you’ve been dying to know – and surprising stuff you’d have never thought of before. Five floors of interactive exhibits inform the public of the natural history of San Diego – ranging from the days of the dinosaurs to the here and now. The fine art museum is this fine city is sure to captivate and inspire. Even those who don’t fancy themselves as “art lovers” will find many things that are pleasing to the senses. 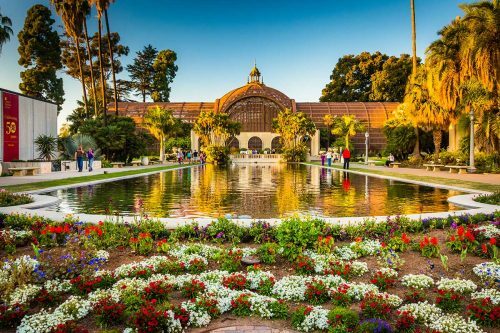 The “jewel box of fine art” nestled right here in San Diego is host to the only Rembrandt in the city, as well as old European masterpieces, American artwork and iconic Russian art. Since 1989, this museum has functioned with the goal of remembering and commemorating the United States Air Forces and Wartime Merchant Marine. This site is also used often as a location for remembrance events. Through art, music, dance and other cultural means, WorldBeat Center is all about promoting and preserving the cultural and artistic history of African, African-American and Indigenous peoples throughout the world. The 1910-produced carousel was acquired by Balboa Park in 2017. This newly-acquired landmark features several original components and offers a brass-ring game to be played by anybody who participates in the five-minute carousel ride. Are you a fan of escape rooms, thrills, and mysteries? Escape the Nat…Botanic Panic is a one-of-a-kind escape room experience that forces you to rely on your smarts and critical thinking skills to escape The Nat. The event is held on the first floor of the museum and rewards diligent guests with clues that will help them to escape the iconic museum. This unique experience can be booked Tuesdays, Wednesdays, and Thursdays from noon until 5 o’clock. If you want to take part in this experience, expect to have an hour to dedicate to it. This multi-arched bridge was constructed in 1915 for the purpose of serving the Panama-California Exposition. Now, it is used as one of the most scenic entryways to Balboa Park. It stands at a formidable 125 feet in height and 1,500 feet in length. Balboa Park has a rich and enthralling history, which Sefton Plaza is dedicated to revealing to the public. One of the most iconic statues in Sefton Plaza is the one erected of horticulturist Kate Sessions, who has been long referred to as the “mother of Balboa Park.” Surrounding her statue, which features her in full gardening fare, is a garden of the plant life that she is credited for having brought to the park. 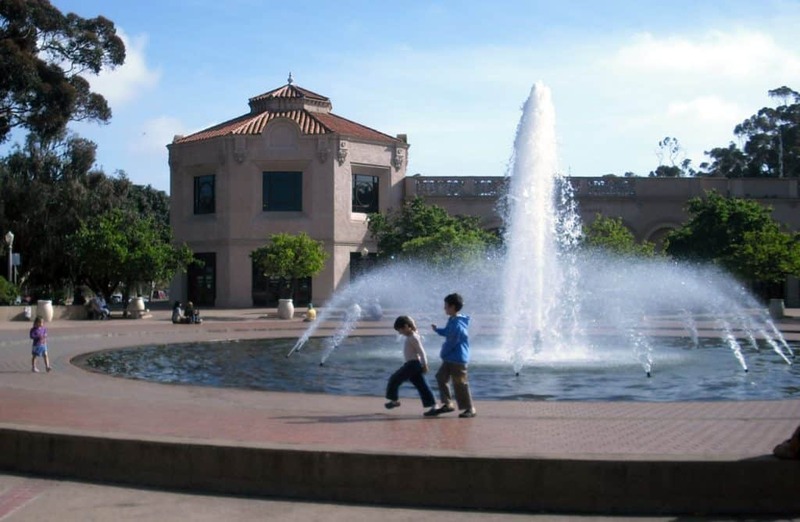 The north side of this plaza is referred to as Founder’s Plaza, as it is host to statues of numerous iconic figures in the development of Balboa Park. These figures include Ephraim Morse, Alonzo Horton, and George White Marston. This colorful hub of San Diegan art was erected in 1935. In 1937, it was repurposed by artists in the area as a means of showcasing their works. For a time during the Second World War, the Spanish Village Art Center was again repurposed as a barracks. This was until 1947, when artists returned to the site and restored it. This community now hosts over 200 artists, who all contribute to the unique and colorful preservation of this historic, little village. And now, let’s move on to things to do around the San Diego Zoo – outside of Balboa Park. This hidden pedestrian bridge was built in 1912 and spans 375 feet in length across the Sessions Canyon. 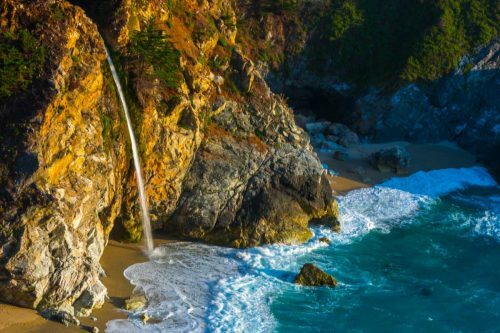 It is a hidden gem that is well-loved by San Diego residents and should be placed on every visitor’s to-do list. To get here from First Avenue, simply turn right onto Spruce Street and keep going until you see the entrance. 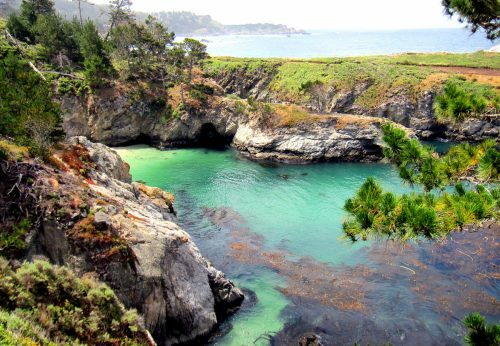 This spot is a beautiful location that has been the host to many engagement proposals and cherished memories. 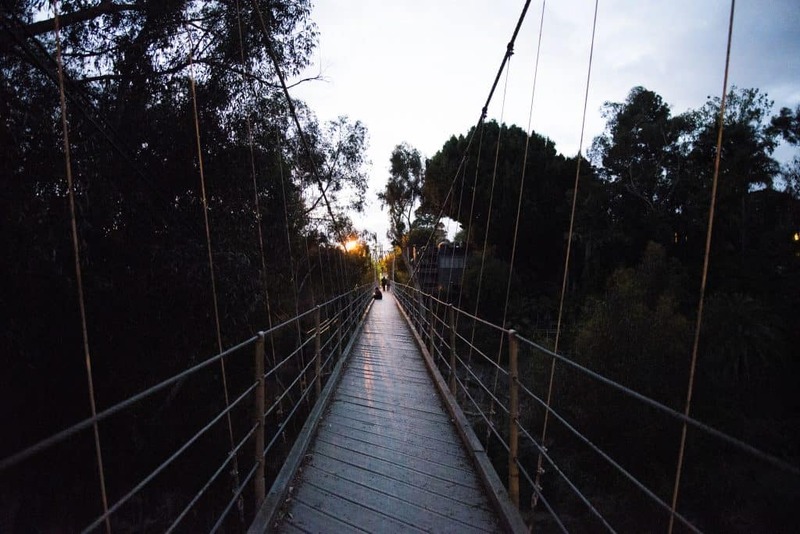 Quince Street Bridge is one of the few wooden trestle bridges still residing in San Diego. A mere few blocks away from the iconic Spruce Street Bridge, this bridge should be the next stop on your tour of the city if you’re going bridge-hopping. 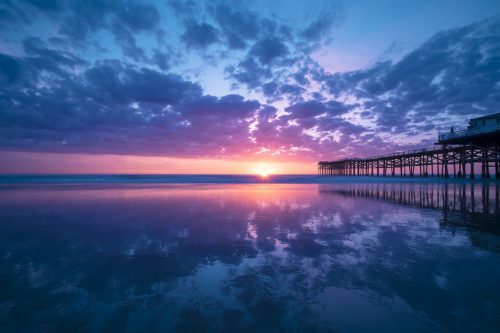 Visitors love coming to this bridge to take breathtaking photos, as the view is one-of-a-kind to San Diego. The bridge spans across Maple Canyon and between Second Avenue and Fourth Avenue. This hub of culture and nightlife is the place to be once the sun goes down in San Diego. Hispanic influences drench each street corner and fill the area with vibrancy and color that you won’t find most anywhere else. For a rich and immersive cultural experience, look no further. You don’t need to look any further if you’re looking for a great place to party, either! 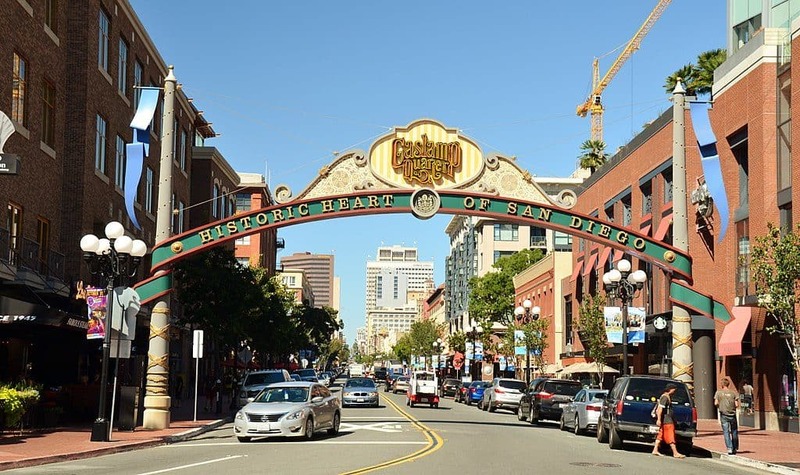 Step back in time with a visit to Gaslamp Quarter, a historic district located in Downtown San Diego. Victorian-era architecture and décor provide a unique viewing experience to guests and locals alike, especially if they are fond of the aesthetic of the era. This 16-block expanse is rife with shopping and entertainment opportunities, but it is also just a great place to hang out and soak in the sights. Located in Downtown San Diego, Seaport Village is an iconic, little spot that offers some of the best views of the sea from this level. Fourteen acres of fine dining, shopping, and entertainment make this little village a great place for a family day away from the hustle and bustle of the city. For great pictures and perhaps to spot some marine wildlife, take a stroll out onto the long boardwalk for which Seaport Village is so well-known. Whether you’re visiting on a budget or want to take in everything that Downtown San Diego has to offer, Seaport Village is a great place to be on a warm, sunny day. A personal favorite with my kids was The Captain’s Cove, a pirate-themed store there. Well, it’s nautical-themed but they do have a cool pirate stature right outside the shop. 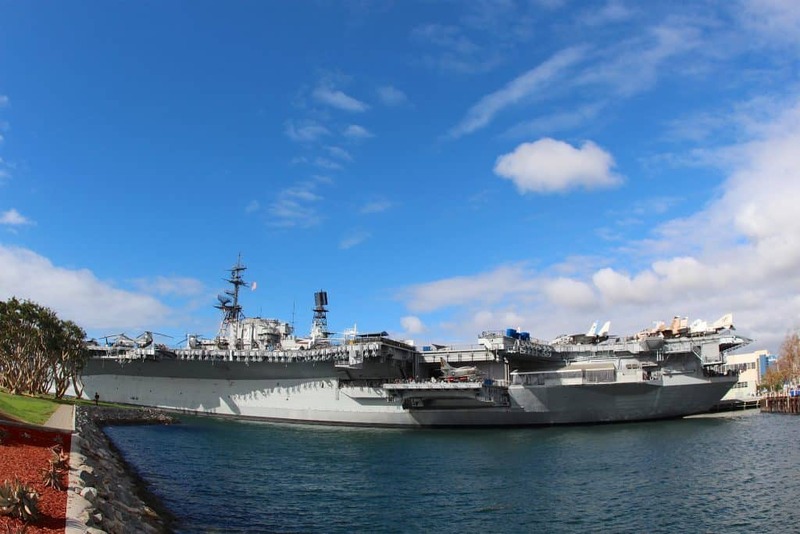 This aircraft carrier has been recommissioned into one of the most popular museums – and one of the most popular attractions, for that matter – in the city. The USS Midway Museum has been featured in popular programming like American Idol, which seems to have cemented its place as a San Diego icon. Once inside the former aircraft carrier, guests get to have a look at aircraft via self-guided tours. This museum stands as a testament to San Diego’s long-standing history as one of America’s foremost naval military bases. Constructed in 1863 with its first departure from the Isle of Man, the Star of India is the world’s oldest ship that still takes to the seas. 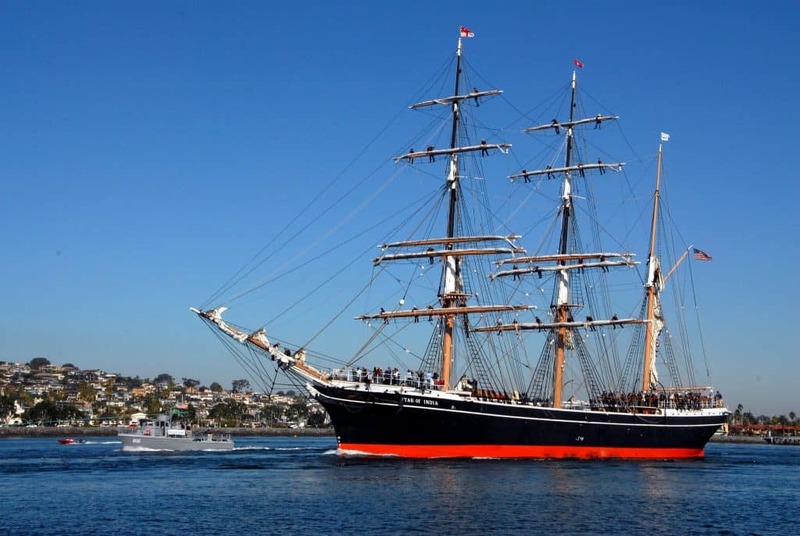 San Diego purchased the ship in 1927 as a part of the attempt to market the city as a “major city.” It was intended that the Star of India would connect the Bay to Balboa Park. What makes the Star of India so different from many other San Diego attractions is its reliance on volunteerism to sustain itself. If you step aboard at 8 o’clock in the morning, you may be put to work to help keep the ship in tip-top shape. Most guests love the privilege of helping to care for the world’s oldest, iron-hulled, sailing ship. Every couple of years in November, a group of sixty or more volunteers take the Star of India out and onto the water for a taste of the salty spray of the sea. I hope the information in this post helps you plan the perfect day in and around the San Diego Zoo! If you have any questions – or suggestions to add! – please leave me a comment here.